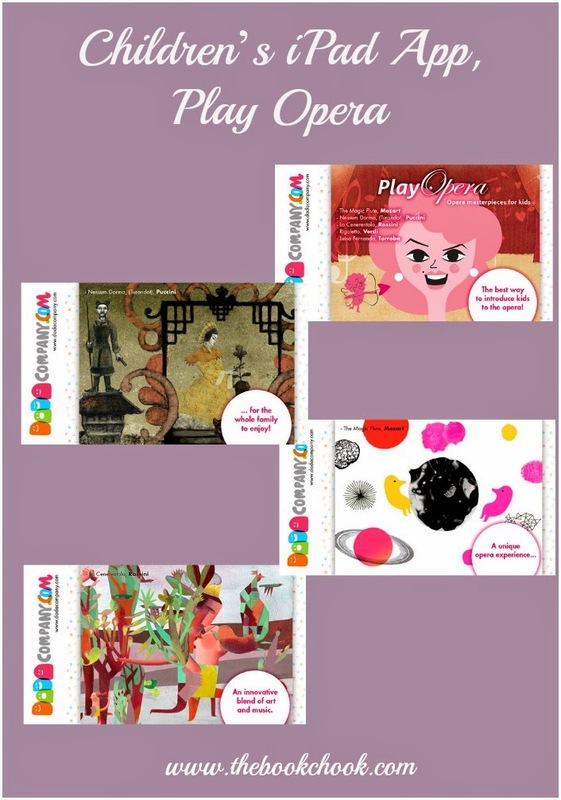 Play Opera: Mozart, Puccini, Rossini, and Verdi masterpieces for kids is a recent app created by Dada Company. I have previously reviewed Dada’s Peek-a-Word. Play Opera combines music and art in a way never seen before on touchscreen devices. Get excited with princes, princesses, sisters, farmers, jesters, dukes and murderers with lyrics of treason, passion, revenge and above all, love. Especially recommended for children between ages 5 and 12. This application presents a secure environment for children. CONTAINS NO THIRD-PARTY ADVERTISING NOR IN-APP PURCHASES. A unique opera experience for the whole family to enjoy! 1. Die Zauberflöte (The Magic Flute) by Wolfgang Amadeus Mozart, illustrated by Violeta Lópiz. 2. Turandot (Nessun Dorma) by Giacomo Puccini, illustrated by Pablo Auladell. 3. Gioachino Rossini Cenerentola, illustrated by Marina Anaya. 4. Giuseppe Verdi's Rigoletto, illustrated by Mikel Casal. 5. Councilmen Choir of the Luisa Fernanda Operetta by Federico Moreno Torroba, illustrated by Ricardo Cavolo. What I loved: I enjoyed the illustrations and animations very much. It was fascinating to me to see how artists had interpreted a song and animators had brought it to life. I found Papageno’s aria from The Magic Flute most appealing to kids and a cheerful interpretation of what has long been a favourite of mine. The art work for Nessun Dorma in Turandot was suitably dark. I am not an opera buff, but enjoy popular opera and operetta. Because the app is aimed at children 5 - 12, I found myself wondering if all the presented songs were the best choices. Each song has some text putting it into context by providing a summary. So we read of seduction in Rigoletto, the womanising Moreno in Luisa Fernanda, and beheading in Turandot. Not surprising to find adult themes when opera is written for adults. But for some schools, the app may be challenged because of this text. As the app was sponsored by Opera XXI, this may have been a decision not made by the developers.